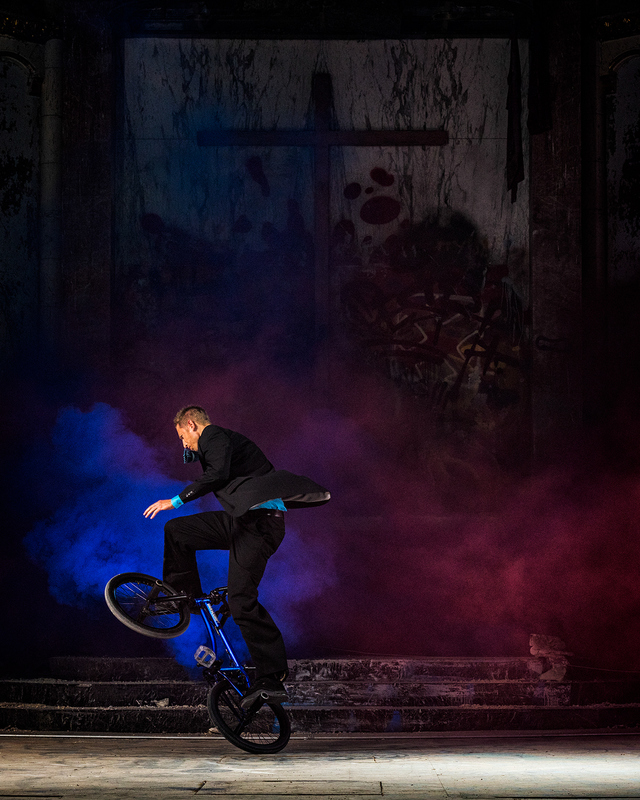 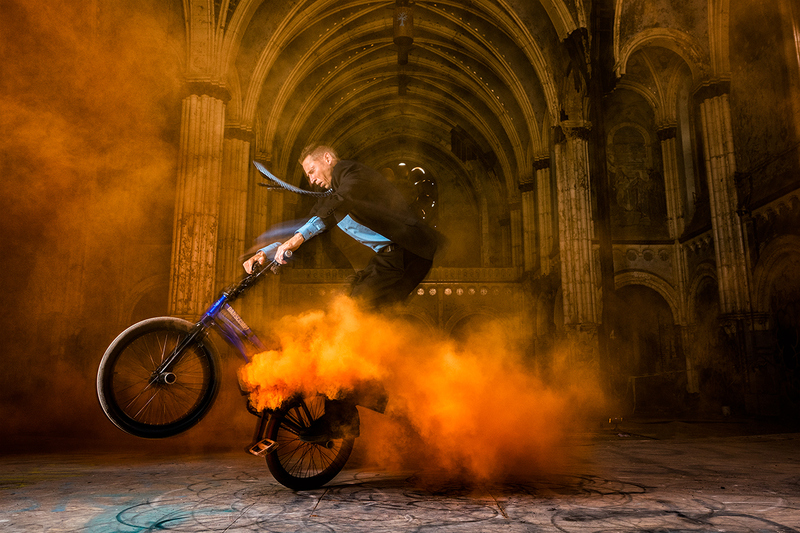 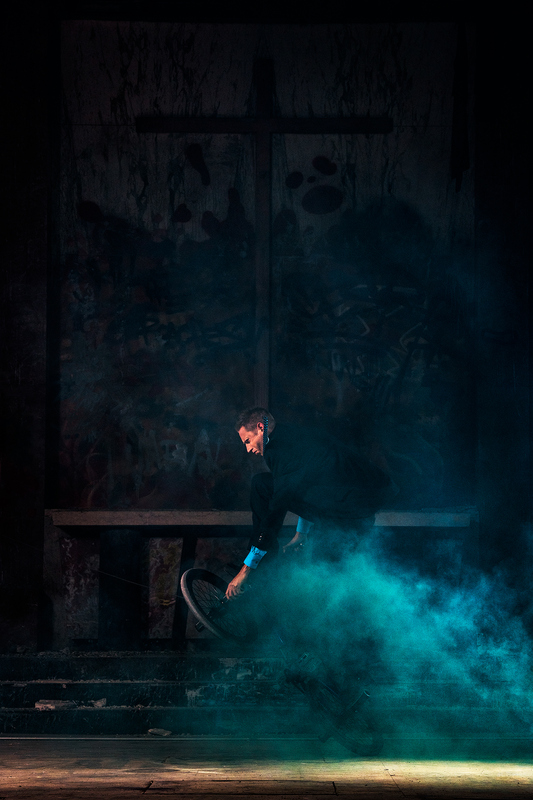 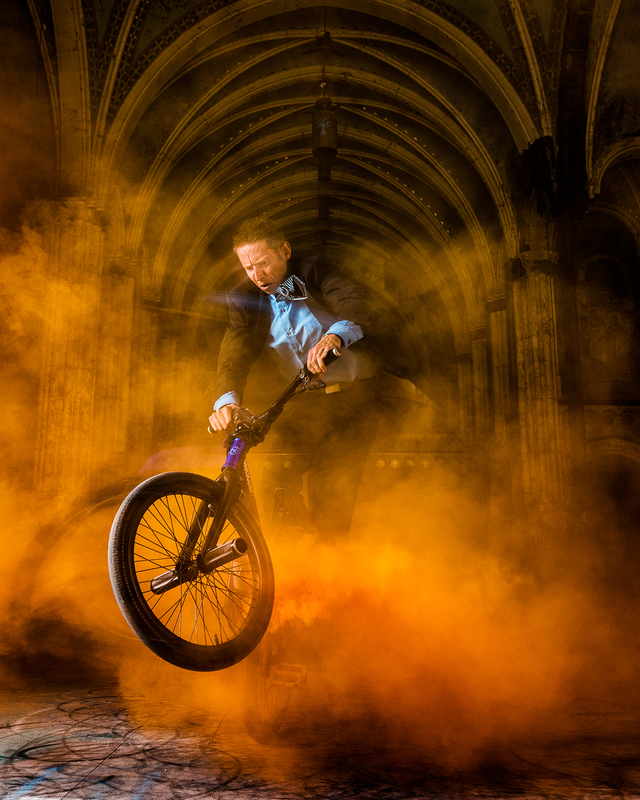 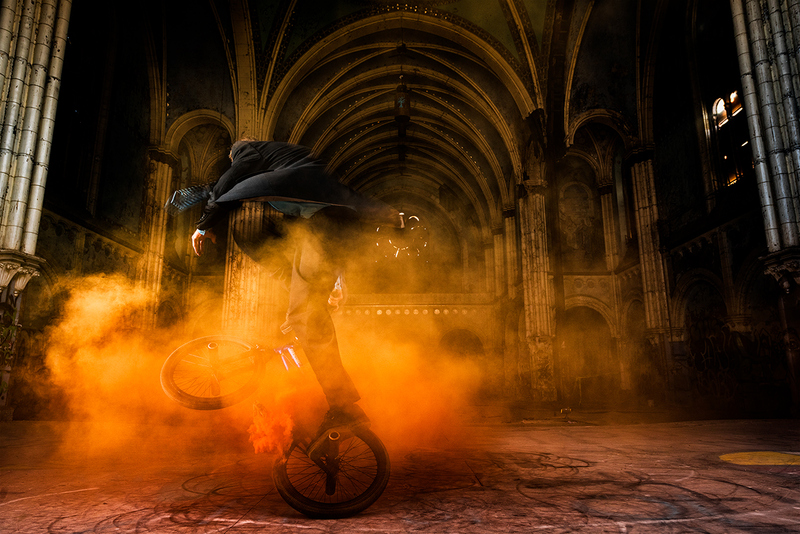 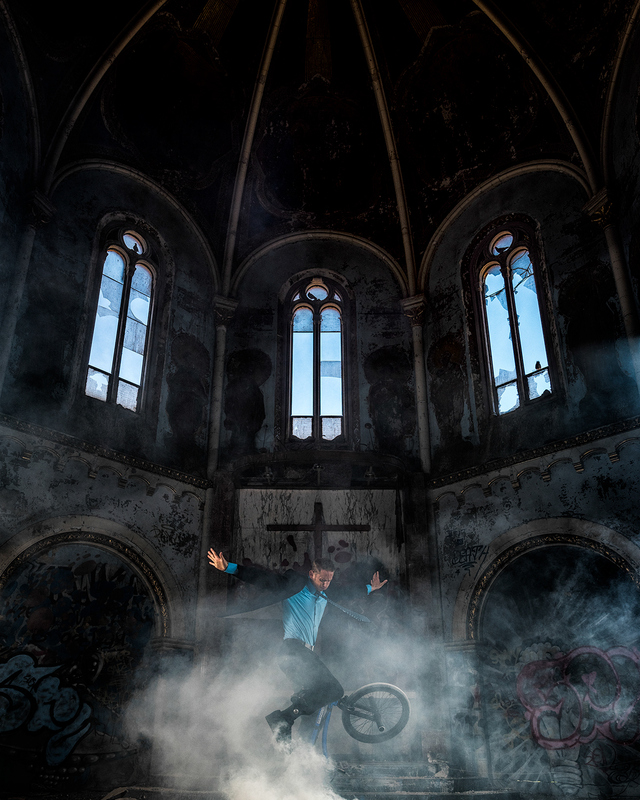 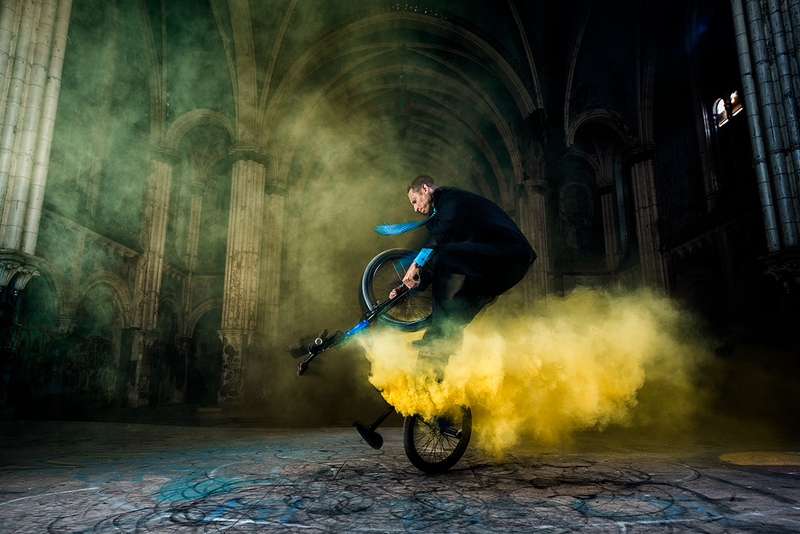 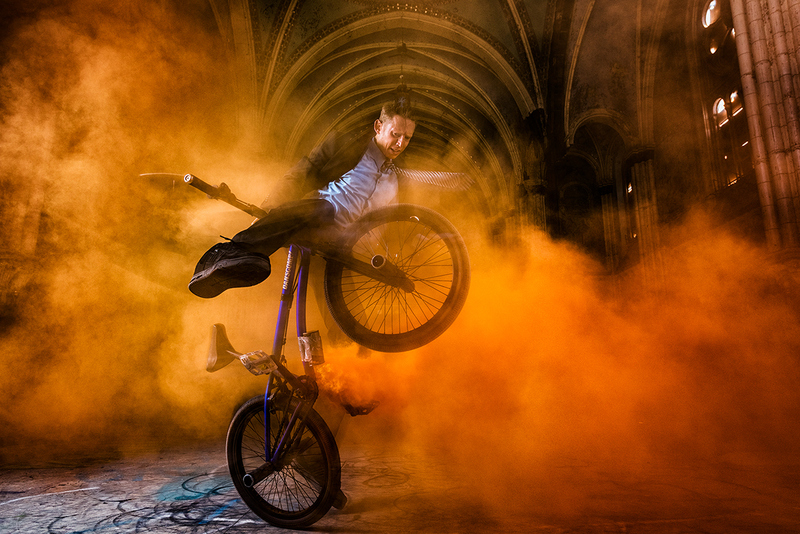 Professional BMX flatlands rider, Matt Wilhelm, wearing a suit, performing BMX in a church, with smoke bombs. 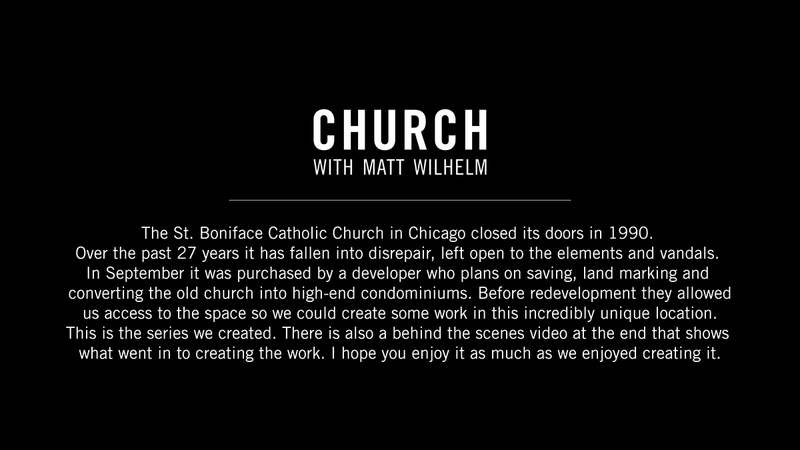 This church is in Chicago and has been abandoned for some time now. 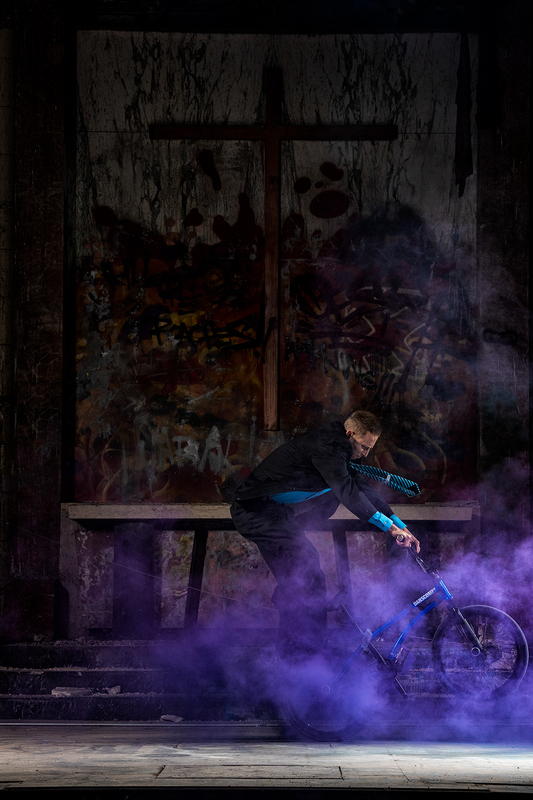 It was purchased by a developer in September of 2016.